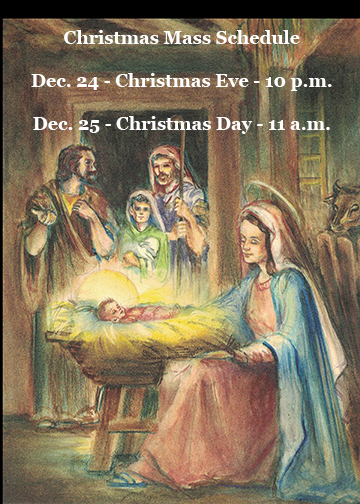 Christmas Mass Schedule at Annunciation Monastery - All are welcome! Please feel free to join us for Eucharistic Liturgy on Christmas Eve and Christmas Day! May the blessings of this beautiful and holy season surround you and fill you in the coming year!